This queen bed recalls the graceful lines of the Victorian Brass Bed era. 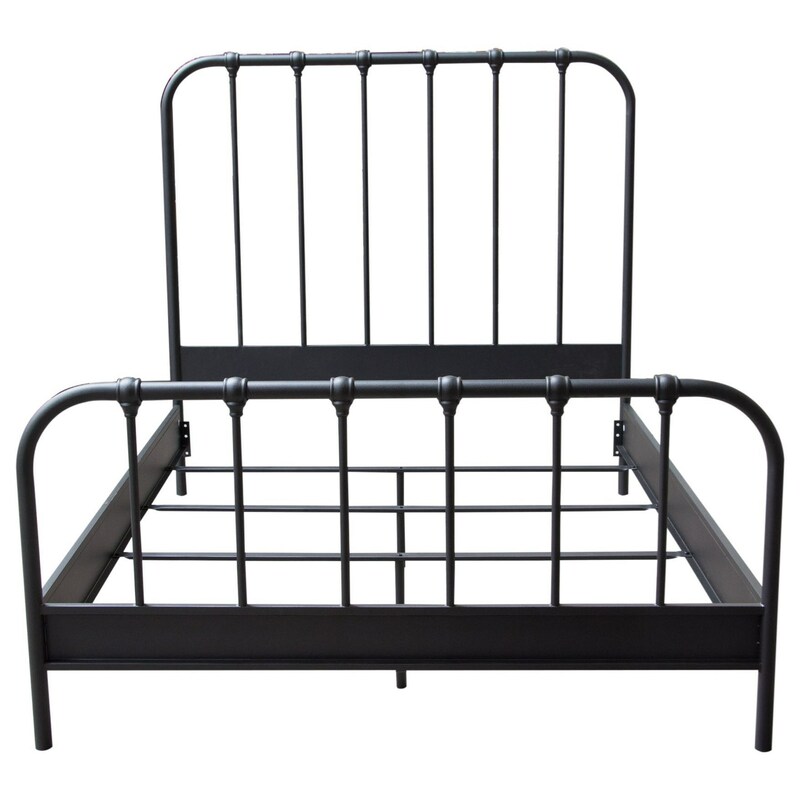 With a powder coated metal frame, the bed exudes a sense of timeless strength and confidence. With its 58" curved Headboard and matching footboard featuring handcrafted castings at each joint, stability and rugged charm go hand in hand. A stylishly finished side rail surrounds the bed to complete the look. Metal slat platform system is provided. Foundation or box spring is required with this collection. The Mateo Queen Bed by Diamond Sofa at Red Knot in the Oahu, Honolulu, Kapolei, Pearlridge, Salt Lake, Hawaii area. Product availability may vary. Contact us for the most current availability on this product. MATEORBQUHB Headboard 1 0" 0" 0"
MATEORBQUSR Side Rails & Slats 1 0" 0" 0"
MATEORBQUFB Footboard 1 0" 0" 0"